We know very well how the lovely people of McLean, VA are about their lawns! They take great care of them and also great pride in them to the point that sometimes things can get pretty competitive among neighbors. We’ve seen it all too often! If you want to have the most beautiful and the healthiest lawn on the block, then you need to take things a step further and hire a professional. Sure, you could do it yourself, but do you really have the time to invest in something that’s honestly not as easy as it may seem? Do you really want to learn about lawn aeration, weed control & fertilization in a short period of time so that the results would start showing in a few months? We didn’t think so! Green Hill Landscaping is one of the best lawn care companies in McLean, VA, if not the best! We’re not modest, because there is no reason for us to be. Our satisfied clients and the lawns that we have under our care are the best business card any lawn care company could have. Aside from Lawn Mowing, Weed Control & Fertilization, we also do Spring Mulching, Seasonal Flowers, Bed Weeding, Seasonal Pruning, Plant & Shrub Care, Fall Mulching, Aeration & Overseeding, Gutter Cleaning, Fall Leaf Clean Up, Winter Clean Up, Snow Removal, Irrigation Service, Mosquito Control, Insect Control: Ant, Flea & Tick Treatment, Landscape Lighting, Commercial Services, and more! 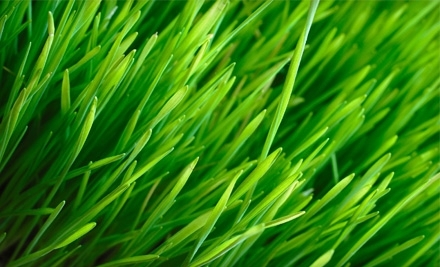 We do everything your lawn needs so that it can look amazing. The first reason, aside from our happy customers, to go with Green Hill Landscaping is the fact that we’ve been in the Lawn Care & Landscaping business in the McLean, VA community for many years. We’ve learned so much in those years and we’re still learning, because when it comes to lawn care, there is always something new that comes up on the market, there are always better solutions that appear and in order to be on top of the game, we need to be up to date with everything lawn care related. Another reason why Green Hill Landscaping could be the right choice for you is that we’re a local family-owned business. We’ve been born and raised here and, just like you, we love this place and we only want to make it better. 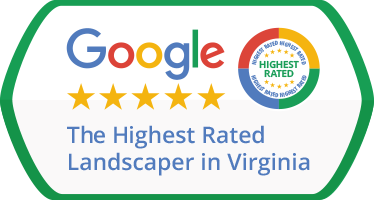 Yet another reason why Green Hill Landscaping is the best option for lawn care McLean, VA is that we can provide you with a free estimate, so you can test us out and see how well we could work together. We respect our clients and their wishes, and have found that a free estimate gives them all the information they need to decide if our services are what they need. Go on, give us a call or simply fill out our Free Estimate form, it doesn’t cost a thing and we only need three minutes of your time. So what do you think? Are these reasons enough to give us a call and see for yourself how good we are at lawn care?